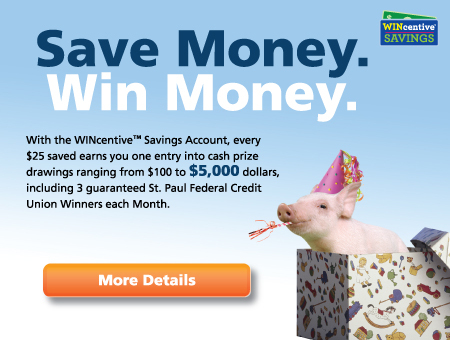 Each month, St. Paul Federal Credit Union, has at least 3 - $100 WINcentive Savings Account Winners! Prize drawings occur monthly, quarterly and annually – so the more you save, the more chances you have to win! You could even end up winning the grand prize of $5,000! Be sure to check back each month to see if you are one of our winners! See each of Winners below!